New Zealand must persuade Australian bureaucrats to follow world-class food safety standards being set in Europe,  or withdraw New Zealand from the trans-Tasman Food Standards Australia NZ (FSANZ). Consumers and exporters on both sides of the Tasman are threatened with the introduction of untested, unlabelled genetically modified (GM) food ï¿½ including animal products ï¿½ because federal agencies who should be protecting us have sided with the biotech industry and propose deregulation of a range of risky new gene editing (GE) techniques. 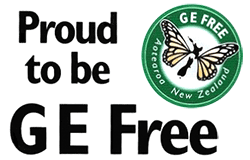 "This is the end game for food safety that threatens to sabotage New Zealand's export reputation, close off our access to premium markets, and undermine public health," said Jon Carapiet, national spokesman for GE-Free NZ. "A Wild West of genetic tinkering cannot be permitted. New GE techniques need to be validated and safety checked to see what genetic changes have occurred." Powerful, clear scientific evidence shows the potential risks that new GE techniques pose. Itï¿½s vital that organisms produced using these techniques are assessed for safety before being released into our environment and supermarkets. The Australian Federal Government has asked the states to sign off on regulatory changes that would leave risky new GE techniques like CRISPR unregulated. New Zealand's Minister for food safety must now ensure that both governments make the right decision ï¿½ to regulate all new GE techniques and their products. "The alternative is that New Zealand pull out of FSANZ and set out our own world leading food safety regime," said Jon Carapiet. The European Unionï¿½s top court has ruled that new GE techniques such as CRISPR pose similar risks to older, transgenic GM techniques so must be assessed for safety in the same way. Growing evidence of potential environmental and human health risks refutes biotech industry claims that these new GE techniques are more precise and predictable than older GM methods. The Australian genetics authority OGTR and FSANZ have relied on out-dated advice from scientists with serious conflicts of interest to reach their decision. If New Zealand follows the lowest common denominator safety standards being proposed we will be self-sabotaging our point of difference in the global market place.